This systematic approach to interpreting the poem provides a wholly new way not just to read the poem but to teach it across the three canticles. 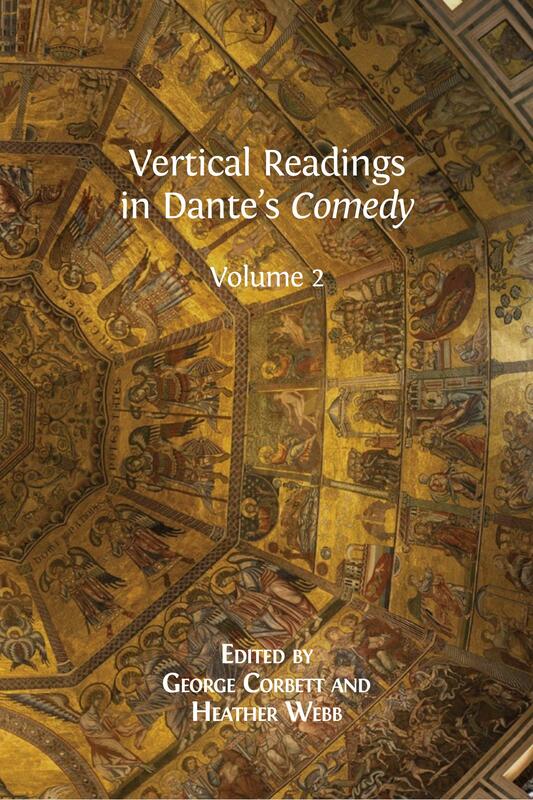 Teaching the Comedy vertically offers a way to address issues that cross the poem and to select cantos that deal with Dante's principal concerns. This collection in three volumes offers an unprecedented repertoire of vertical readings for the whole poem. As the first volume exemplifies, vertical reading not only articulates unexamined connections between the three canticles but also unlocks engaging new ways to enter into core concerns of the poem. 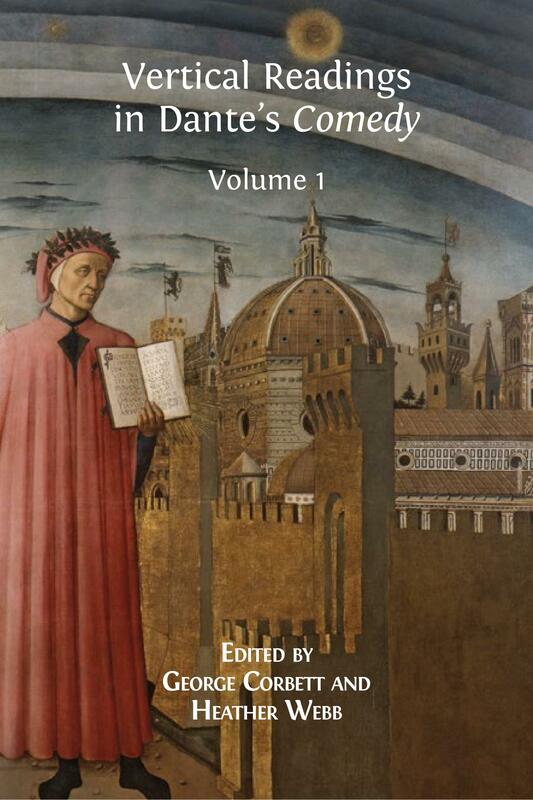 The three volumes thereby provide an indispensable resource for scholars, students and enthusiasts of Dante. Volume 1 and Volume 2 are also available to read for free. The series would not have been possible without the generosity of our sponsors: Trinity College; Selwyn College; the Italian Department, University of Cambridge; the Cambridge Italian Research Network (CIRN); and Keith Sykes. Piero Boitani teaches Comparative Literature at ‘La Sapienza’ and the Gregorian University, Rome, and at the University of Italian Switzerland, Lugano. His books include The Shadow of Ulysses: Figures of a Myth (1994), The Bible and its Rewritings (1999), Winged Words: Flights in Poetry and History (2007), and The Gospel According to Shakespeare (2013). He won the Feltrinelli Prize for Literary Criticism in 2002, the De Sanctis Prize in 2010, and the Balzan Prize for Comparative Literature in 2016. Theodore J. Cachey Jr. is Professor of Italian at the University of Notre Dame. He specializes in Italian Medieval and Renaissance literature, especially Dante, Petrarch and Boccaccio. He has authored and edited several books, as well as numerous essays and book chapters. He is founder and co-editor (with Zygmunt G. Barański and Christian Moevs) of the William and Katherine Devers Series in Dante and Medieval Italian Literature. George Corbett is Lecturer in Theology, Imagination and the Arts in the School of Divinity, University of St Andrews. Prior to this, he was Junior Research Fellow of Trinity College and Affiliated Lecturer of the Department of Italian, University of Cambridge. He is the author of Dante and Epicurus: A Dualistic Vision of Secular and Spiritual Fulfilment (2013), and was the co-organiser, with Heather Webb, of the ‘Cambridge Vertical Readings in Dante’s Comedy’lecture series (2012–2016). George Ferzoco is based in the Department of Religion and Theology, University of Bristol (where he also occasionally teaches in the Department of Italian). Most of his research is in the field of medieval religious culture, especially in relation to education, the creation of saints’ cults, and sermon literature. He has co-edited volumes on Catherine of Siena and Hildegard of Bingen. David F. Ford OBE is Regius Professor of Divinity Emeritus in the University of Cambridge and Fellow of Selwyn College. His writings include Meaning and Truth in 2 Corinthians (1987), Self and Salvation (1999), Christian Wisdom (2007), and The Drama of Living (2014). He has a particular interest in inter-faith relations and was Founding Director of the Cambridge Inter-Faith Programme. His current research includes work on: the Gospel of John; theology, modernity and the arts; religion-related violence; and contemporary worldviews. Peter S. Hawkins is Professor of Religion and Literature at Yale Divinity School. In addition to his work on Dante — Dante’s Testaments (1999), The Poets’ Dante (2001), Dante: a Brief History (2006) — he has published on biblical reception and contemporary American fiction, most recently in The Bible and the American Short Story (2017), co-written with Lesleigh Cushing Stahlberg. Elena Lombardi is Professor of Italian Literature at Oxford, and Fellow of Balliol College. She is the author of The Syntax of Desire. Language and Love in Augustine, the Modistae and Dante (2007), The Wings of the Doves. Love and Desire in Dante and Medieval Culture (2012), and Imagining the Woman Reader in the AgeofDante (forthcoming). Ronald L. Martinez is Professor of Italian Studies at Brown University. With Robert M. Durling, he published a monograph on Dante’s Rime petrose (1990), and an edition of Dante’s Divine Comedy with English translation and commentary (1996–2011). 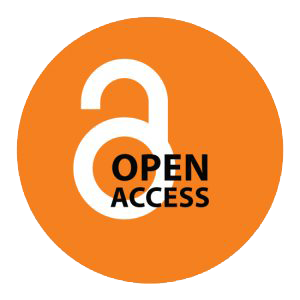 Recent publications include essays on Boccaccio’s Decameron, Petrarch’s Latin poetry, Renaissance spectacle, Ariosto’s Lena, and Dante. Catherine Pickstock is Professor of Metaphysics and Poetics at the Faculty of Divinity, University of Cambridge, and Fellow of Emmanuel College. She is author of After Writing (1998), and Repetition and Identity (2014), and co-author, with John Milbank, of Truth in Aquinas (2002). She is currently completing two monographs, Platonic Poetics and Aspects of Truth. Janet Martin Soskice is Professor of Philosophical Theology at the University of Cambridge. She is the author of Metaphor and Religious Language (1984), The Kindness of God (2008), and Sisters of Sinai (2009). She is the editor, with Diana Lipton, of Feminism and Theology (2003) and, with David Burrell, Carlo Cogliati and Bill Stoeger, of Creation and the God of Abraham (2010). John Took is Emeritus Professor of Dante Studies at University College London. Among his publications are volumes on Dante’s general and literary aesthetics, on the minor works, on Dante’s theology and phenomenology and on the Fiore. He is at present at work on an intellectual biography of Dante and a book about why Dante continues to matter. Heather Webb is Reader in Medieval Italian Literature and Culture at the University of Cambridge and Fellow of Selwyn College. She is the author of The Medieval Heart (2010), Dante’s Persons: An Ethics of the Transhuman (2016), and articles on Dante, Catherine of Siena and others. She was co-organiser, with George Corbett, of the ‘Cambridge Vertical Readings in Dante’s Comedy’ lecture series (2012–2016). She is co-editor, with Pierpaolo Antonello, of Mimesis, Desire, and the Novel: René Girard and Literary Criticism (2015). Rowan Williams is Master of Magdalene College, Cambridge, and was previously Archbishop of Canterbury and Professor of Divinity, Oxford. He is the author of many books on theology and spirituality, and also several studies on the borderlands of theology and literature, including Dostoevsky: Language, Faith and Fiction (2008), and The Tragic Imagination (2016). © 2017 George Corbett and Heather Webb. Copyright of each chapter is maintained by the author. Cover image: Fra Angelico (circa 1395–1455), The Last Judgement circa 1450, Gemäldegalerie, Berlin. Photo by Anagoria https://commons.wikimedia.org/wiki/File:1450_Fra_Angelico_Last_Judgement_anagoria.JPG, public domain.